As Ryan Blaney and the No. 21 Motorcraft/Quick Lane Ford team prepare for the second of three races in the third round of the Monster Energy NASCAR Cup Series playoffs, the goal remains essentially the same as it’s been for them in every race this season. That means it’s essential to qualify up front, earn as many stage points as possible in the first two stages of the race, then go all out to the checkered flag. 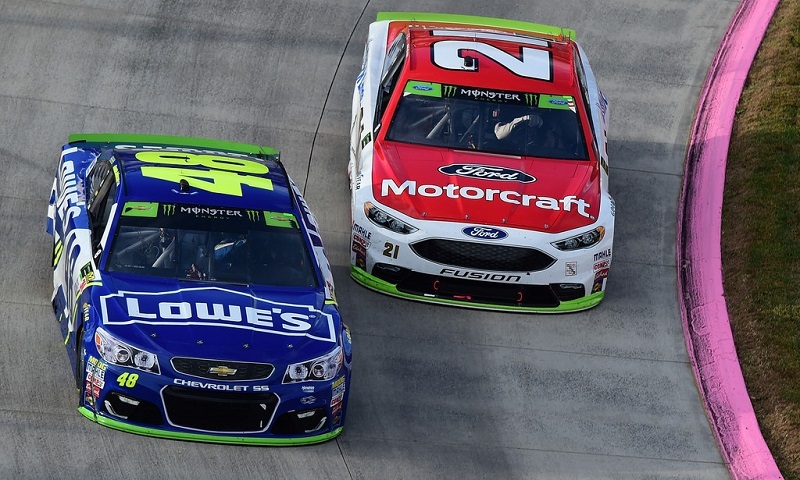 While many in the sport may have initially underestimated the importance of stage points, which were introduced this year, Blaney and the Motorcraft/Quick Lane team have been pursuing them with a vengeance since the start of the season. Blaney has scored stage points in 25 of the 33 races run this season for a total of 212 points. He’s eighth among all drivers in stage points earned and sixth among the eight drivers still in the running for the championship. He’s earned stage points in five of the seven playoff races to date, and his 29 stage points earned in the Round of 12 played a big role in his advancement to the current Round of 8. Team co-owner Len Wood said the Motorcraft/Quick Lane team’s recent performance at Kansas Speedway, where Blaney came from the 40th starting position to score 10 stage points and finish third, bodes well for Texas this weekend. And Texas, a track that is similar to Kansas, has been good to Blaney as well, considering he swept both stages in April’s 500-miler.